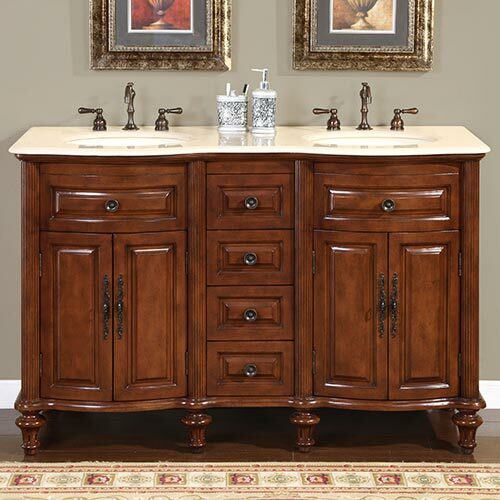 The Carbonia Double Bath Vanity features handsome beveled details along side attractive curves. This vanity sits beneath a Cream Marfil marble counter top that includes an ivory ceramic under mount sink. It is also pre-drilled for easy faucet installation. Four drawers and doors provide plenty of room for organization. 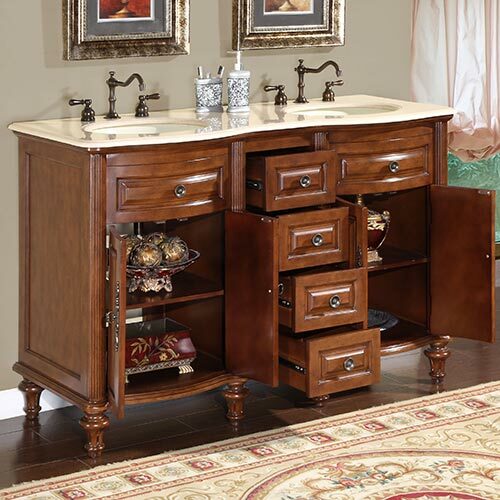 The antique hardware adds to this vanity's traditional style.